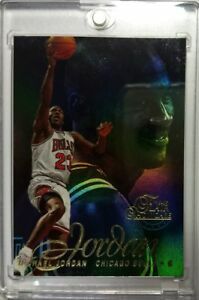 Details about 1996-97 Flair SHOWCASE Michael Jordan STYLE ROW 2 Chicago Bulls HOF #23, Sharp! Nice card; shipped promply and well packaged - thank you! Safe and fast shipping! Great seller, Thanks!! Thank you the cards looks great! Arrived early!!! Card looks awesome. Thanks!! Great Communication. Fast Shipping. Highly recommend. Thank you!